St. Andrews State Park is consistently one of the most popular and most visited state parks in Florida -- Given that Dr. Beach has also called it the Best Beach in America, it's no wonder! St. Andrews State Park is situated on a peninsula at the far eastern edge of Panama City Beach. 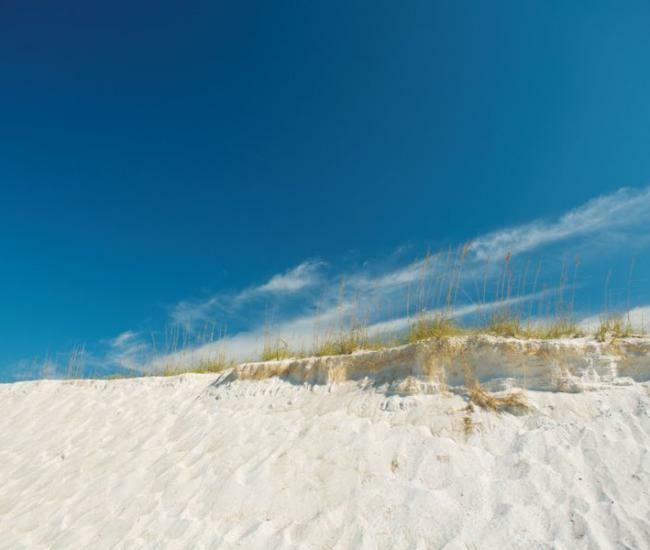 Bordered by the Gulf of Mexico to the south, the St. Andrews Pass to the east, and the Grand Lagoon to the north, you're never far from a relaxing sea breeze, or a chance to get a little sand between your toes while exploring the shoreline here. You can also get off road and explore by trail, where you'll see an amazing variety of wildlife, from migratory birds to deer or even alligators! Fishing is popular here as well, and anglers can be found casting their lines from the Tiller Pier (which reaches out into the Gulf of Mexico), the fishing pier on the Grand Lagoon, and fishing from the jetties or the deep water point bordering the St. Andrews Pass. You can rent a bicycle from the general store in St. Andrews State Park and explore the roads that loop through the preserve, or rent a canoe or kayak and get out on the water under your own power! For those interested in exploring Shell Island, there is a shuttle that runs from the mainland to the island regularly (call to reserve a spot, and to ensure service during the winter season). Snorkeling and scuba diving along the jetties is also a popular pastime for many, and an array of brightly colored marine life can be found not far beneath the surface. Swimming and surfing are popular on the Gulf side of the state park, while those in search of calmer waters enjoy the "kiddie pool," a large area along the pass that's protected by the jetties. There are no lifeguards present at the state park, so swimmers should always exercise caution whenever entering the water. St. Andrews State Park is great for campers, who can choose from 176 camp sites with electricity, water, picnic tables and grills (these can accommodate tents, or RVs up to 40 feet in length). There is also a "primitive" camping area for scouts, faith-based groups, and other small, non-profit organized groups. This site is equipped with water, a portable toilet, fire ring, and picnic tables. Boaters also frequent St. Andrews State Park, thanks to a public access boat ramp that can be used for a reasonable fee. For non-campers, St. Andrews State Park closes at sunset. St. Andrews State Park is located at 4607 State Park Lane, at the southeast edge of Panama City Beach.